John Vincent Atanasoff was born in the farm of his grandfather, located few miles west of Hamilton, New York, on October 4, 1903. 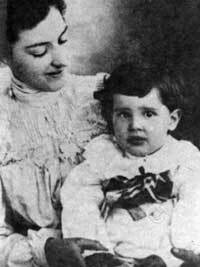 John was the first child in the family of Ivan (John) Atanasoff (1876-1956), an electrical engineer and Iva Lucena Purdy (1881-1983), a mathematics schoolteacher. The couple had nine children (one of whom died): John, Ethelyn, Margaret, Theodore, Avis, Raymond, Melva and Irving. My father was born on January 6, 1876, at the time of the preparation of our people for an uprising against the Turks. Before the outbreak of the uprising, the Turkish governors forced the people of the village of Boyadjik (present Boyadjik, Yambol Region in Bulgaria) to leave their houses and then they burnt them. As my grandfather ran with his son in his hands, followed by my grandmother, a group of Turkish soldiers shot him in the chest. The bullet, which killed him, left a scar on the forehead of my father for the rest of his life. My grandmother married twice more after that. My father was 13 years old when he arrived in the United States and at 15 he became an orphan. After this incredible start in his life, he finished the Colgate University and married my mother, an American whose grandfather fought in the Civil War between the North and the South. The story with the miraculous survival of Ivan Atanasoff is a documented fact in the Bulgarian history (so called The Massacre of Boyadjik). On 17th of May, 1876, the Turkish army attacked and plundered the bulgarian village of Boyadjik, killing almost 200 non-armed people, mainly women and children. This (as well as many others) brutality of Turks changed the Europe's main countries public opinion, which allowed Russia to declare a war to Turkey and to liberate Bulgaria in 1877-1878. Ivan Atanasoff arrived in the US with his uncle in 1889 (Ivan's name was changed to its English equivalent John by immigration officials at Ellis Island). Ivan's uncle however left US next year, and 14 y.o. Ivan was found to be alone, without money, without knowing well the language. Next years were very difficult for the boy, but he worked hard and even managed to graduate the Colgate College in New York. Iva and John married in 1900, following John's graduation from Colgate College with a degree in philosophy. He got a job as an industrial engineer in New Jersey and they started their family. John took electrical engineering correspondence courses at night and on weekends to further his education. In 1903, the family with just born John Vincent moved to Florida, where John accepted an electrical engineering position is Osteen, Florida, and subsequently, in a newly established town called Brewster, now an empty ghost town, but back then, the home of the phosphate mines of chemical conglomerate American Cyanamid. It was here that John completed grade school and started understanding the concepts of electricity. The Atanasoff's home in Brewster was the first house they lived in with electricity, and John, as a 9-year-old boy found and corrected faulty electric wiring in a back-porch light. His grade school years were very normal. He was a good student and had a youthful interest in sports, specially baseball. This interest in baseball faded when his father purchased a new Dietzgen slide rule (see the lower photo) to help him at his job. The 10-year-old boy became totally fascinated with it. He carefully read the instructions, and was amazed that he could get correct answers. His father soon discovered that he didn't have an immediate need for the slide rule, and it was soon forgotten by everyone except young John. John soon became interested in the mathematical principles behind the operation of the slide rule and the study of logarithms; this led to studies in trigonometric functions. With the help of his mother, he read A College Algebra, by J.M. Taylor. This book included a beginning study on differential calculus and also had a chapter on infinite series and how to calculate logarithms. Within a few months, the precocious 9-year-old had progressed beyond the point of needing help. During this time, he learned about number bases other than ten from his mother; this led him to study a wide range of bases, including base-two. When John was to enter high school, the family moved to a farm in Old Chicora, Florida. He completed the Mulberry High School course in two years, excelling in science and mathematics, graduating with his high school diploma at age 15. He had, by then, decided he wanted to be a theoretic physicist. After working a year as a seeker of phosphate deposits to save some money, in 1921 John entered the University of Florida in Gainesville. Since the university did not offer a degree in theoretic physics, he started taking electrical engineering courses. While taking these courses, he became interested in electronics and continued onto higher mathematics. He graduated from the University of Florida in 1925 with a Bachelor of Science degree in electrical engineering. He had a straight "A" academic average. Even though he had many offers of teaching fellowships, including one from Harvard, he accepted the one from Iowa State College, because it was the first one he received and because of the institution's fine reputation in engineering and sciences. In the summer of 1925 John left for Ames, Iowa, home of Iowa State College, where he started work on his master's degree and teaching two undergraduate mathematics classes. In June 1926, John received his master's degree in mathematics and married to Lura Meeks, a beautiful, brown-haired, blue-eyed 25-year-old home economics major from Oklahoma. Next year was born his oldest daughter Elsie, and family moved to Madison, Wisconsin, where John had been accepted as a doctoral candidate. Two other children, the twins Joanne and John, were born a year later. 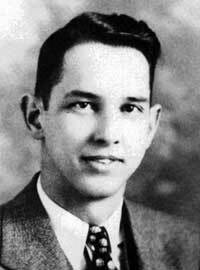 In March of 1929, he enrolled at the University of Wisconsin as a doctoral student in theoretical physics. The work on his doctoral thesis, "The Dielectric Constant of Helium," gave Atanasoff his first experience in serious computing. He spent hours on a Monroe calculator, one of the most advanced calculating machines of the time. During the hard weeks of calculations to complete his thesis Atanasoff acquired an interest in developing a better and faster computing machine. After receiving his Ph.D. in theoretical physics in July 1930, he returned to Iowa State College with a determination to try to create a faster, better computing machine. In the fall of 1930 he became a member of the Iowa State College faculty as assistant professor in mathematics and physics. He started doing experiments with vacuum tubes and radio, and examining the field of electronics. After examining many mathematical devices available at the time, Atanasoff concluded that they fell into two classes—analog and digital. 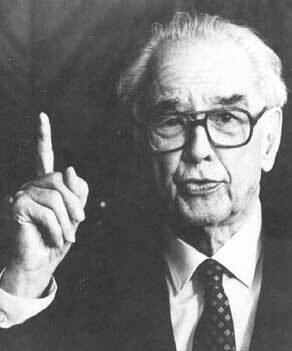 Since the term digital was not used until much later, Atanasoff contrasted the analog devices to what he called computing machines proper. In 1936 he engaged in his last effort to construct a small analog calculator. With Glen Murphy, then an atomic physicist at Iowa State College, he built the Laplaciometer. It was used for analyzing the geometry of surfaces. Atanasoff regarded this machine as having the same flaws as other analog devices, where accuracy was dependent upon the performance of other parts of the machine (see the nearby photo from 1938). The history of building the first electronic digital computer in the world is described in details in the article The ABC of John Atanasoff and Clifford Berry. In September of 1942 Atanasoff left Ames, Iowa and Iowa State on leave for a defense-related position at the Naval Ordnance Laboratory in Washington, D.C. He had become Chief of the Acoustics Division at the Naval Ordnance Laboratory, a position that was paying him a salary well above the $10,000 cap on government salaries at the time. He was in charge of developing a computer for the United States Navy (an electronic computer, named the NOL), but this project failed. At the same time, he became involved in the first atomic test in the Pacific, a project that he liked very much. In 1949 John and Lura were divorced and Lura moved with the children to Denver, Colorado. In the same year, John married to Alice Crosby, an Iowan who had also gone to Washington to work during the war years. In 1949 he became chief scientist for the Army Field Forces in Fort Monroe, Virginia. After one year, he returned to Washington as director of the Navy Fuse Program at the Naval Ordnance Laboratory. He stayed in that position until late 1951. In 1952 he established the Ordnance Engineering Corporation, a research and engineering company in Rockville, Maryland, with his old friend and student, David Beecher. The company was sold to Aerojet General Corporation in 1957, and Atanasoff became Manager of its Atlantic Division from 1957-1959 and Vice President from 1959-1961. In 1961 he retired. After retirement Atanasoff worked in the area of computer education for young people and developed a phonetic alphabet for use with computers. John Atanasoff was a holder of many Honors and Awards, such as U.S. Navy Distinguished Civilian Service Award (the U.S. Navy's highest honor awarded to civilians), five honorary doctorate degrees, membership in the Iowa Inventors Hall of Fame, and the U.S. National Medal of Technology presented by President George Bush in 1990. Atanasoff is a holder of about 30 patents. "I came here from Berkeley," Hauptman said. "You know Berkeley must have 20 Nobel prizes and they are proud of them; poets, physicists, chemists... When I found out Atanasoff's story and read his paper... It occurred to me that if Atanasoff had been at Berkeley in 1939 (with the Atanasoff-Berry Computer) he would have gotten a Nobel prize right away. Berkeley would not have waited a minute before going after a Nobel Prize and becoming known as the birthplace of the electronic digital computer. Here at Iowa State, it was just dropped." Dr. John Vincent Atanasoff died 15 June 1995 of a stroke at his home in Monrovia, Md.